What am I not seeing? Am I seeing reality? Is it possible to look at life through new lenses? 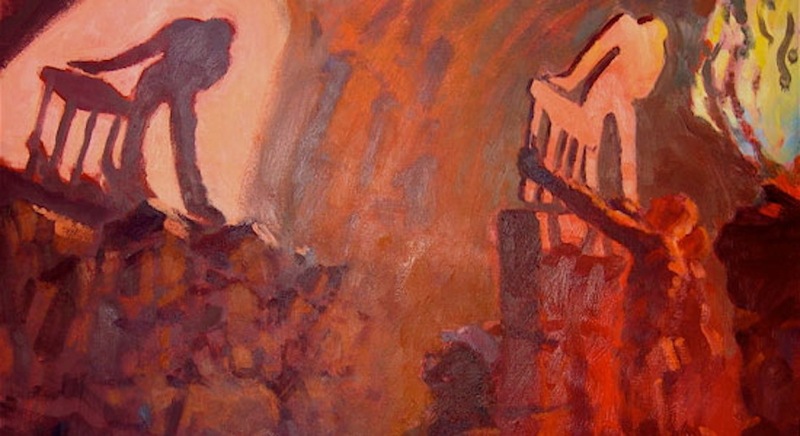 Ken Stout: Plato’s Cave, 2007, oil on panel, 12″ x 16″.